I have two concerns about the Constitution Pipeline: (1) proper flood planning, and (2) leakage problems in karst terrain. I am a hydrologist with 40 years of professional experience. But I have also worked part-time for four petroleum companies, so I have no animosity toward the industry. (1) According to published statements, the pipeline is being designed with a 5-year flood in mind. I find this difficult to believe. A 100-year flood is the typical design goal. 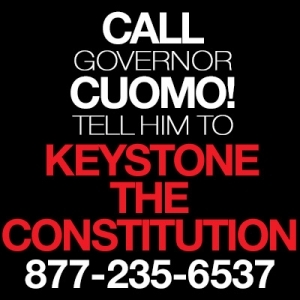 The pipeline’s northeastern stretch must somehow cross Schoharie Creek – one of the largest rivers in the region, and probably the most flood-prone because of its large mountainous catchment area. The village of Schoharie has experienced frequent flooding, including several “100-year” floods in recent years. The last major flood in Schoharie (2011) devastated the community, and many people have moved out. Long-term flood probabilities are unreliable, and the frequency of a flood of any specific magnitude increases with time because of land development. During a major flood, the mitigation of any pipeline damage will compete and conflict with other forms of disaster relief. (2) Regarding karst aquifers in the vicinity of Schoharie: Natural gas in pipelines is usually accompanied by some water and hydrocarbons that condense from the gas. Most of it is filtered out at compressor stations. But in the event of a leak, any such effluent will drain through thin soil directly into fissured limestone. This material does not behave like most aquifers. Infiltrating water in the area is known to remain perched in the down-dip direction, on beds that slope about 2 degrees to the south. Where the water reaches the water table it changes course to a roughly perpendicular path, the exact direction depending on the position of the nearest valley outlet. 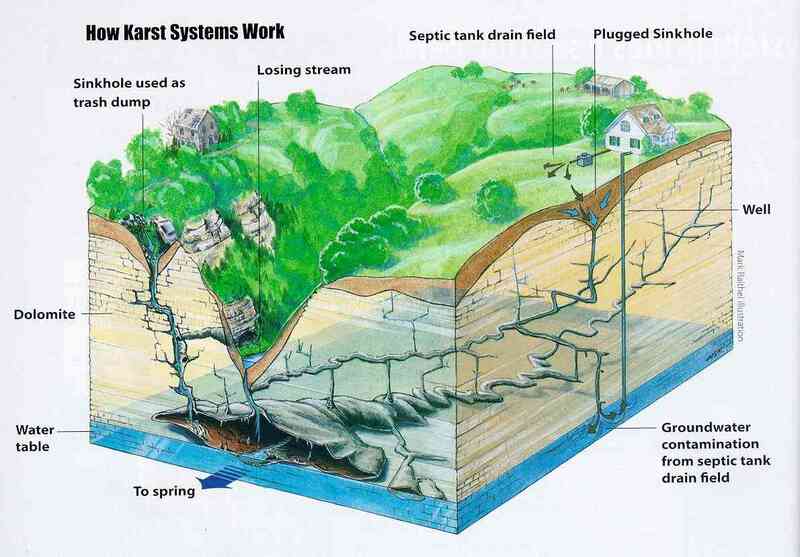 Every karst aquifer in the area behaves this way, and many of the flow paths have been mapped. There is an average of about one mile of down-dip underground flow in the area (several miles documented north of I-88). Once released, the contaminants cannot be remediated, although with proper engineering at the source, the problem can be minimized. The problem has been documented in many places. The worst example was at Walkerton, Ontario, about 15 years ago, where contaminants moving in this way caused 7 deaths and more than 2000 cases of sickness, some chronic (reference: Worthington, S., et al., 2003, Assessment of groundwater velocities to the municipal wells at Walkerton, Ontario: Proceedings of 2002 conference of Canadian Geotechnical Soc., Canadian chapter of International Assoc. of Hydrogeologists, Niagara Falls, Ont., p. 1081–1086.). Such dire outcomes are rare, and most examples, if detected at all, lead only to brief sickness. The geologic setting and aquifer behavior in the Schoharie County portion of the pipeline route are similar to those at Walkerton. It will be difficult to resolve these two issues, but they must be addressed.